With the impressive looks and advanced features, the new Vibgyor Shark serves as an appealing factor. The amazing colors used, curvy structure and other attractive factors about the vehicle make it the eye-catching element. It is not only looks that attracts customers but also the quality assured and fuel efficiency. In this ever increasing petrol prices, people would love to own such a vehicle which gives descent mileage. 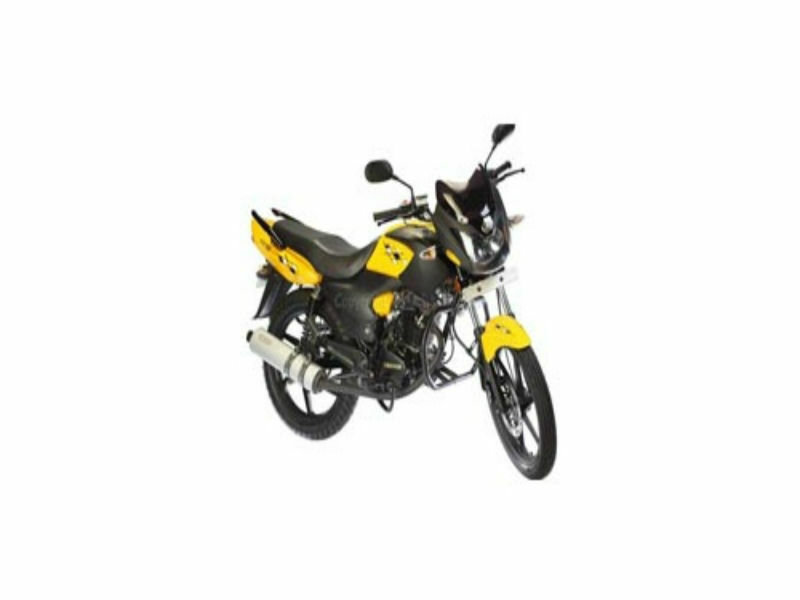 The bike is equipped with efficient 4 stroke, air cooled, single cylinder, 150 cc engine which assures better performance. The maximum power generated from this is about 13 Bhp at 9500 rpm and the highest torque achieved is 9.5 Nm at 7,500 rpm. This power produced reaches the wheels of the vehicle through 4 speed transmission. The captivating design of Shark has the power to attract every passerby. The amazing color combination and curvy aerodynamics followed by the bike not only adds to its looks but also provide greater stability while driving. Stylish, sophisticated and elegant body works of motorbike includes the trendy headlamp design, gracefully structured indicators and comfortable seat. 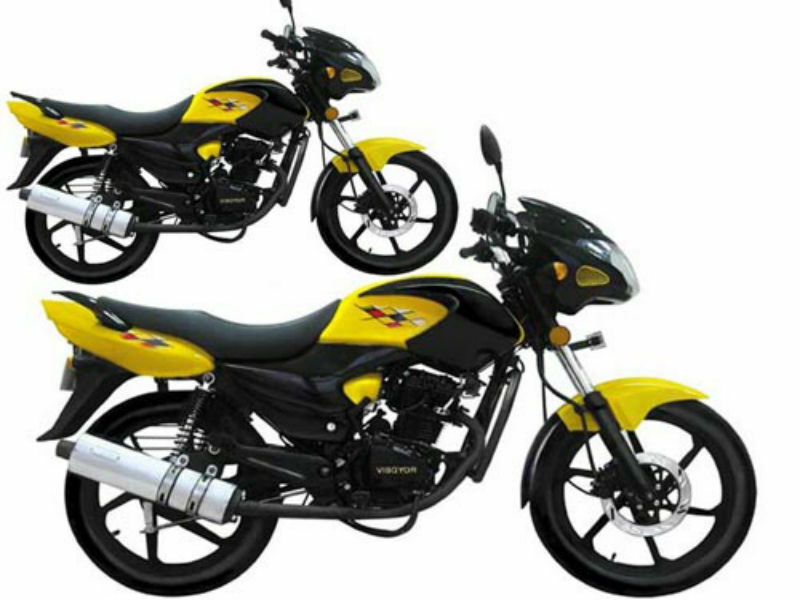 With its stunning looks and quality features, the bike is no doubt to become successful in the market. 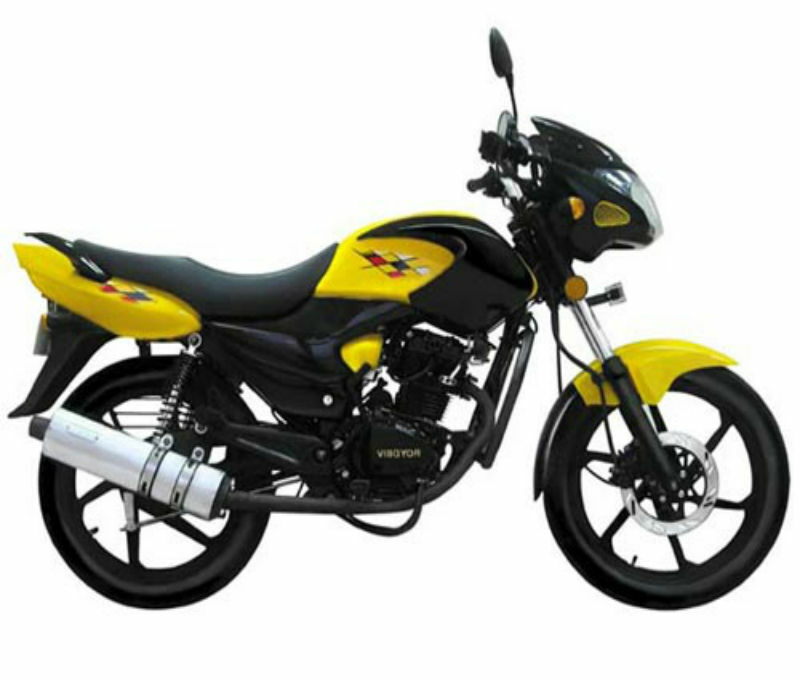 Vibgyor Shark comes with good chassis which make sure that the driving becomes trouble free. The suspension system including the front telescopic fork and rear hydraulic shock absorber guarantee smooth jovial ride. The drum brakes used on both wheels are other promising factor which assures sudden braking even at short distance thereby by providing complete control of vehicle to the rider. With all its advanced features riding and handling of this motorcycle becomes much easier. Shark is a fuel efficient vehicle which gives the mileage of about 50 kmpl in city limits. The ex-showroom price of Vibgyor Shark is close to Rs. 50,000 and the colors available with this are yellow-black and silver-black.